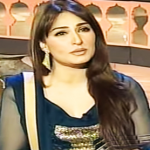 Ayesha Khan is the most famous and successful actress as well as a model of Pakistan showbiz industry. She has been established herself as one of the top actresses and models of her country by excellent and brilliant performance. The actress is also well known to her fans for playing some extremely popular roles in drama serials in her beautiful career. 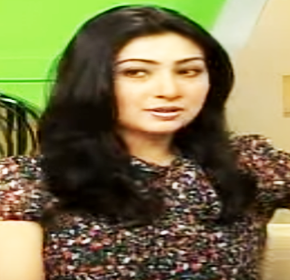 Ayesha Khan is a multi-talented, well educated and good at many languages, especially in English. Ayesha Khan was born on September 27, 1982, in Lahore, Pakistan to a Punjabi descent father and a Kashmiri descent mother. But she grew up in Abu Dhabi and Canada from where received early education. Ayesha successfully completed Bachelor Degree in Architecture and Interior Designing from a reputed University of Canada. Ayesha Khan, the famous actress kicked off her brilliant career in Pakistan showbiz industry with the drama serial ‘Tum Yahi Kehna’ as Mena in 2003 aired on PTV in which she proved her worth as an actress. Then she presented many well-loved characters for which she has been popular to Pakistani people. One of her famous characters is Sajjal in ‘Mehndi’, a serial produced by Evergreen Picture and directed by Javed Fazil, where she acted against Humayun Saeed, another popular actor of Pakistan media arena. Her other popular characters are Roshni in ‘Manay Na Ye Dil’, Rhea in ‘Khamoshiyan’, Hina in ‘Vasl’ and Aylain in ‘Pyar Mai Dard’. The actress is considered as the top television stars of Pakistan. 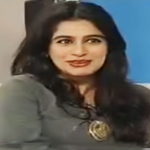 Ayesha is acting and presenting popular drama serials to her fans one by one mentioning to ‘Meri Adhoori Mohabbat’, ‘Man –O-Salwa’, ‘Kaafir’ and ‘Khuda Mera Bhi Hay’ those are airing on famous Pakistani TV Channels. After becoming successful in the drama serials, Ayesha Khan made her film debut with the movie ‘Waar’ as Javeria alongside Shaan Shahid and Shamoon Abbasi which was released in 2013. The movie became a big hit and next, she appeared in ‘Abhi Toh Main Jawan Hoon’ in 2013 and ‘Jawani Phir Nahi Ani’ in 2015. With the time, she has improved herself greatly and every drama is becoming hit. For her matured performance and talent, Ayesha is called ‘Kalida Riyasat’ to the young generation of present time. In her brilliant career, she has won many prestigious awards including ‘Pakistan Media Awards’ and ‘Nesvita Women of Strength Awards’. It is reported the nice looking and appealing actress, Ayesha Khan married Humayun Saeed who is another top actor of Pakistan showbiz industry, but the news doesn’t come from a reliable source. Like her professional life, Ayesha is also successful in personal life.